Kirstenbosch Botanical Garden in Cape Town is rated amongst the most beautiful gardens in the world, and we do think this botanical garden is the best! Read here what you should not miss when in Cape Town. The Mother City’s Botanic Garden is located in one of the most amazing settings you can imagine. 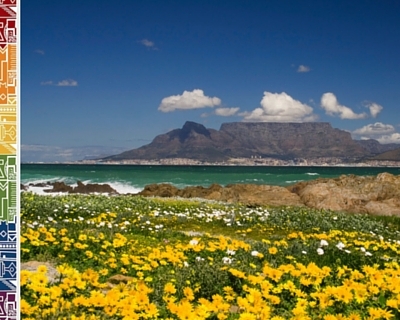 Cape Town's botanic Garden is situated on the slopes of Table Mountain in the leafy suburb of Newlines. The garden overlooks the Mother City and both oceans, you can see towards the Atlantic side and towards the Indian Ocean side at False Bay. 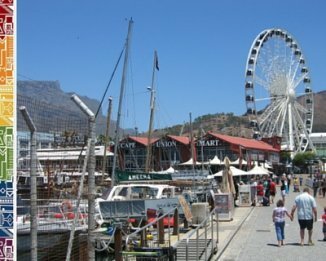 This is one of Cape Town’s top tourist attractions and not only for the locals and Cape Town expats a great place to chill out. From the higher slopes you will have a wonderful view over most of Cape Town, False Bay and the Cape Flats. In the far distance you will be able to see the stunning Stellenbosch Mountain Range and on good clear days you will up the Atlantic Coast too. Kirstenbosch is renowned for its floral beauty. The plants grown in these botanical gardens are all indigenous. You will marvel at the wonders of nature in this park. It is here where you can admire all kinds of fynbos, like the coastal fynbos or sea lavender here in my picture. The fynbos (fine bush) indigenous plants grow only in the South African Cape Region and therefore constitute one of the six Floral Kingdoms in the world. Even though the Cape Floral Kingdom is the smallest on the globe with less than one percent of the earth’s surface, the Cape region houses the richest floral kingdom in the world with over 9000 plant species. The Botanical Gardens in Cape Town are the oldest in South Africa celebrated the 100 years anniversary in 2013. The gardens were first founded in 1913, but with its early beginnings dating back even further to the late 17th century. Parts of an almond and bramble hedge which was planted in 1660 by Jan van Riebeeck and his men still can be found here. This hedge marked then the boundary of the first settlement at the Cape. Here our suggestions for a day out. Walk around the sculpture garden and see the dinosaurs! How to get to Cape Town Botanical Gardens? 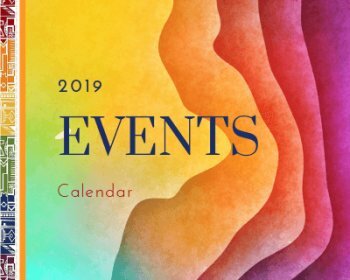 Directions: From the M3 (De Waal Drive) turn into the R63 (Rhodes Drive, which connects Newlands with Constantia and Bishopscourt). Entrances: In Rhodes Drive there are three entrances. The main two entrance gates 1 and 2 are in Newlands, with the lower Entrance 1 being the main entrance from where you will reach the fabulous 'Moyo at Kirstenbosch' Restaurant, which serves pan-African treats - a wonderful smaller but lovely tearoom with outdoor space is located at the upper entrance 2, where there is usually more parking space available -, a Vida e Caffè at the main (lower) entrance as well as a souvenir and book shop. If you do not want to take the lower entrance, head up the road a bit more, still taking the same exit from Rhodes Drive, you will you will find the education center and the nursery and a smaller book shop at the upper entrance too. This upper Entrance 2 is also close to the Tea Room and the Sanlam Hall with changing art exhibitions. Then there is another entrance (Entrance 3 Ryecroft Gate) situated in Bishopscourt coming from Constantia. This gate is great for hikes up Table Mountain along Skeleton Gorge and Nursery Ravine. There is sufficient free parking at all entrances. Find a Gardens Map with parking and routes here. You can also reach Kirstenbosch Gardens by taxi or with Golden Arrow Buses which depart from Golden Acre Center in Cape Town CBD. The botanical garden also is a stop of the Cape Town Explorer hop-on hop-off buses. Entrance Fee: Adults R70, Students (with ID) R40, Kids R20 (under 6 years: free entry), SA Seniors (with ID) free entry on Tuesdays except on public holidays. Tickets can be bought also online via webtickets.